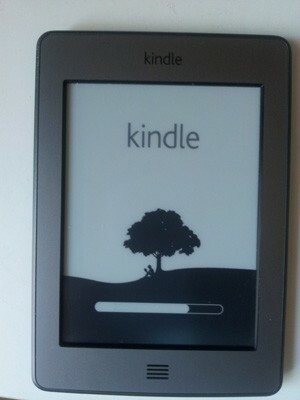 Two years ago I bought my first e-book reader, the Amazon Touch, and have enjoyed reading books on this portable device. Many people today are asking if e-book readers are still relevant given the popularity of 7″ color tablets like the Nexus 7 and Amazon Kindle Fire devices. 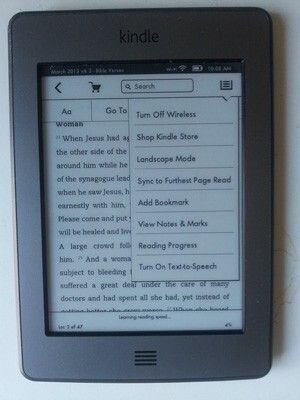 Since I own both a color Nexus 7 and Kindle Touch, I can tell you that my immediate preference for reading is the Kindle Touch because of how easy the text is on the eyes with the Kindle Touch compared to the glossy screen of the Nexus 7. 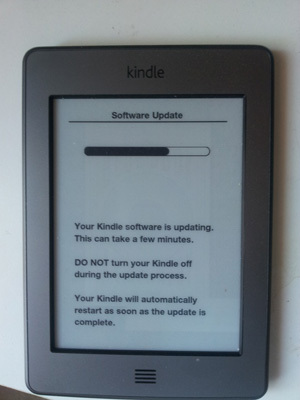 After I read the notice from Amazon and let my Kindle Touch go to sleep then the update started. 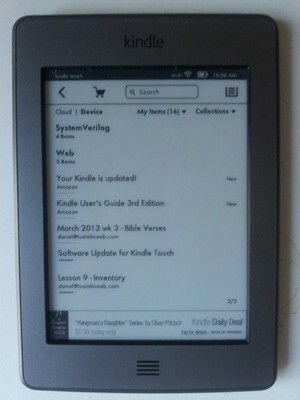 I have to commend Amazon for adding new features to the Kindle Touch, they really do care about their customers and continue to support us.